This entry was posted on 12.8.2016, in Articles in English, Hevoselämää and tagged dressage, horse training, horse welfare. Bookmark the permalink. In equestrian sport there is one thing specifically that tells a lot about the quality of riding, namely the horse’s mouth. A contact that is pleasant and practical for both parties is a skill and accomplishment that is the essence of riding. What Is a Good Contact? The goal in general is that the rider is able to ride with their hands steady and still. All this is very good but it is not the whole truth. A riders hands must remain still but in relation to the horse’s mouth. Whether or not a rider succeeds in this can truly be seen only by looking at the horse’s mouth. The contact should remain steady also when using the reins – something that should be done with flexibility and softness, without jerking, pulling or other irregularities. 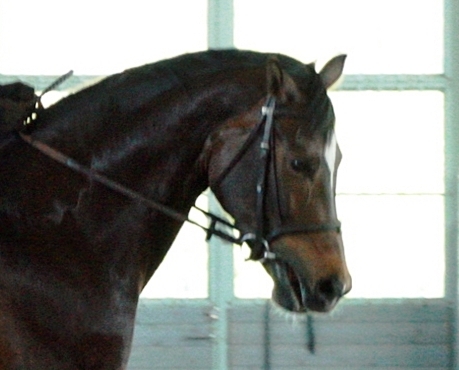 Correct use of the reins is perceived by the horse as small, even movements of the bit in his mouth. A well-trained horse always tries to position his head and body in the middle in relation to the contact so that he can feel the contact become lighter and steady as the rider yields with the reins. 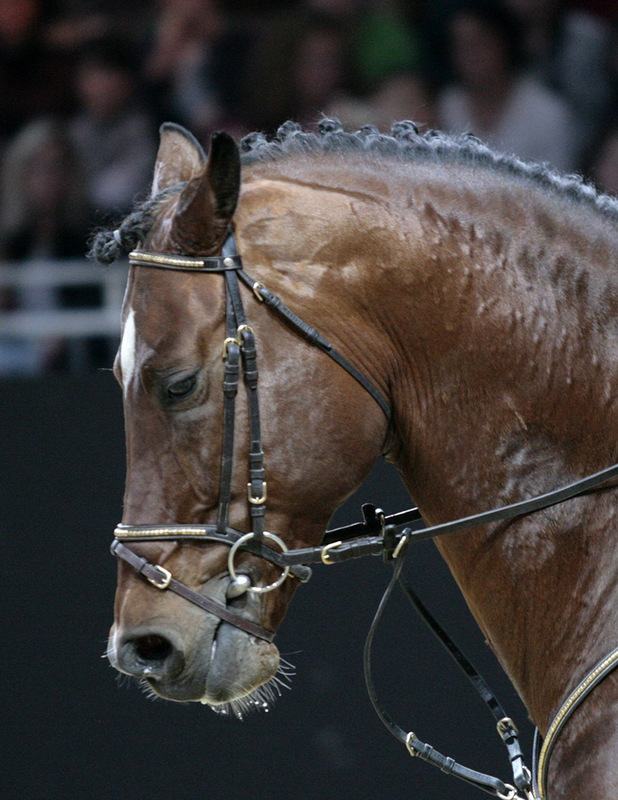 Contact is an extremely sensitive and exact affair between the rider and the horse. 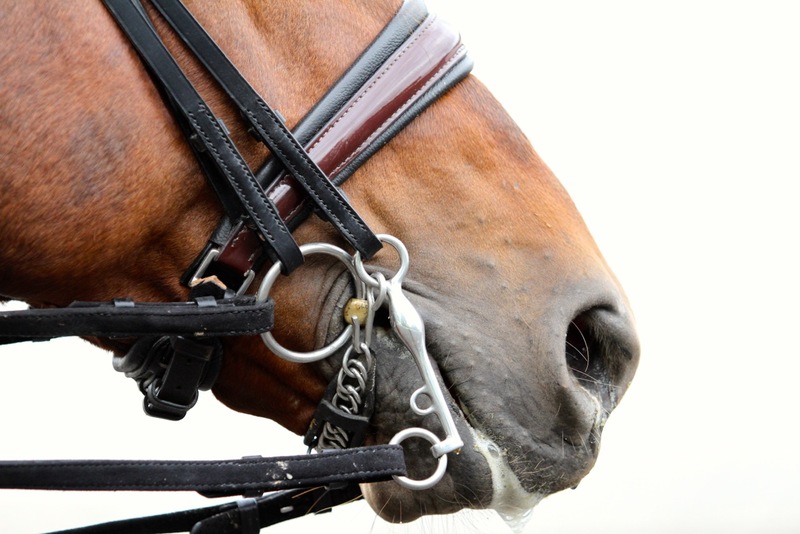 The touch to the horse’s mouth connects the hand of the rider and the mouth of the horse. And much more. If the bodies of both parties function as they should, the contact joins two flexible, elastic, and balanced entities. By examining a horse’s mouth and its gestures one can tell a whole lot. A horse should be able to trust both the bit that is lying calmly in its mouth, and the hands of the rider that control the bit through the use of the reins, in order to be able to willingly move towards the contact without feeling the need to fight back, be wary or avoid the contact. What Do the Gestures Tell? An accepting horse has a closed mouth. However, a closed mouth does not necessarily tell the whole story. The mouth can also be closed because of the horse is drawing it tight together with its jaws, and clasps its teeth together. In these cases the jaw joint becomes locked and as a result the neck and the movement of the entire body become stiff. An unyielding contact is quite easy to recognise while mounted but it can be harder to notice just by looking at the horse. A relaxed mouth gestures in the same way as a mouth of a relaxed horse when the horse is not ridden. The area surrounding the mouth is visibly smooth and soft, not tight and wrinkled. When the horse’s body and all the joints are moving the horse occasionally moves its mouth in the similar manner as it was calmly chewing something. The mouth does not become open and the surroundings do not become tense. Tense facial expression, the neck and the jaw are locked. The expression resembles the pain face found in equine research. Achieving the best possible contact requires an immense amount of practice especially from the rider but also from the horse. Trying to stay balanced in the movements of the horse is a challenge in itself for a rider, and when you add the fact that the hands need to maintain a perfectly steady touch to the horse’s mouth the demands are high. Therefore, the practice for the perfect contact begins the very minute a rider takes the reins for the very first time, and it never ends. The rider’s ability to control their body, the use of the core muscles, balanced posture and supple joints play a major role. Then again, the horse has to practice the exact same things. It needs to learn how to be balanced, steady and supple. The horse has ended up against the contact, and is relieving itself by opening the mouth. Practicing a correct contact could be compared to ballroom dancing: the dance hold has a great impact on the pleasantness and balance of the dance, and, most importantly, improvement. One can imagine how it would feel to dance with a partner that is stiff and oppressive. Or in a hold that is too loose, unsteady, and can suddenly disappear altogether. How would it feel to dance with a totally limp partner? Or with someone whose movements are sudden and impossible to anticipate? What if your partner had such poor balance that they would constantly jerk and pull you, albeit unwillingly. How effortless would dancing be if the pair was to lean into each other with all their body weight? We cannot, of course, know how and what the horse feels as it is unable to speak. There is, however, no reason to assume that their sensations would greatly differ from those of a human under similar circumstances. Horses can, nevertheless, tell a great deal through their behaviour. When the contact is pleasant, steady and functions logically, a horse moves willingly, straight and in a good balance. The horse can focus on the task at hand, and control its body as well as perform at the top of its skills. As the quality of the contact becomes poorer the horse’s behaviour begins to show an increasing amount of distractions and signs of discomfort. The horse opens his mouth, cranches his jaws, tightens his lips, flaps his lips, draws the tongue over the bit and back towards his throat or pushes the tongue out, sneers, pulls his head to the side, up or down; jerks his head, nods his head towards his chest in order to avoid the unpleasant sensation in the mouth, speeds, slows down, swishes his tail, refuses to move, pulls or rushes against the contact, etc. All these changes in behaviour are signals that the riders must listen to. The horse has no other way to communicate his sensations other than his behaviour. Similar behaviour can, of course, be the result of something else. Tension of the mouth can, for example, be the first sign that the horse is becoming unbalanced. An unsuitable bit is also a common reason for the above mentioned problems. Sometimes it can take long to find out the cause of discomfort. The first things to check, nevertheless, are always the horse’s mouth and what is going on at the other end of the reins. In the early phases of training, when the horse is not yet sufficiently desensitized to the sensation that a bit and the use of the reins are causing in his mouth, he can behave in a resisting and anxious manner. Therefore, a horse should always be familiarised with the bit and with the contact. Furthermore, before the actual training begins, a horse should be educated on how he is expected to behave when in contact. A horse that is not yet trained to be ridden cannot control all the movements of his body nor his balance with precision. While the horse learns he is occasionally bound to fall against the contact as he lurches out of balance. As long as the horse is not skilled enough to avoid lurching it is advisable to use a cavesson instead of a bit. This way one can avoid unnecessary jerks and pressure in the mouth. 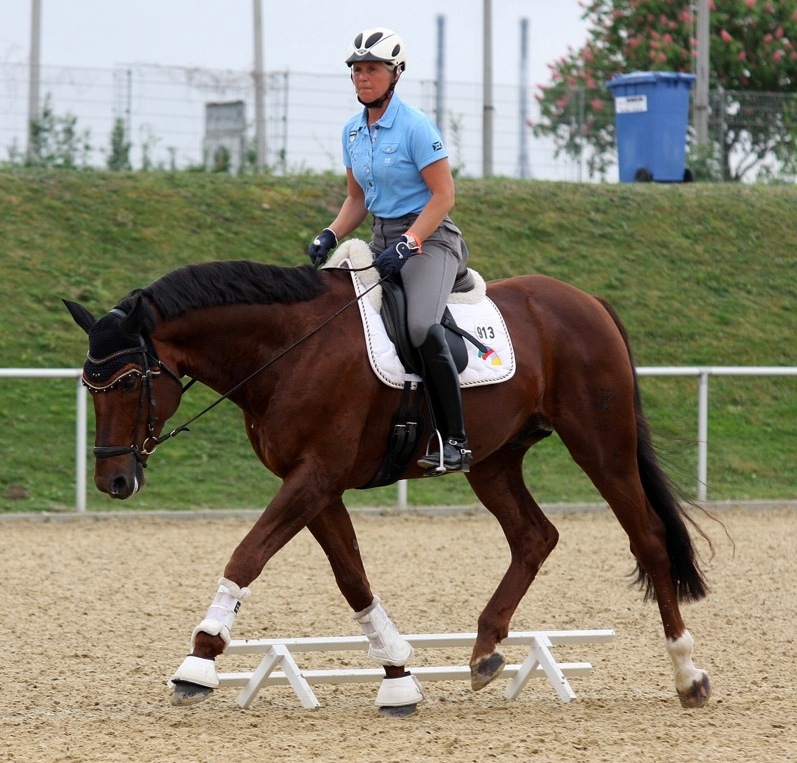 As the horse learns how to control his posture and balance even under changing circumstances it can start begin to learn the same in relation to a bit. It is of utmost importance that a horse can trust the bit throughout its training. When a horse has the chance to learn new skills that are connected to good experiences an occasional poor experience will not be insurmountable. Should the Problems be Hidden? 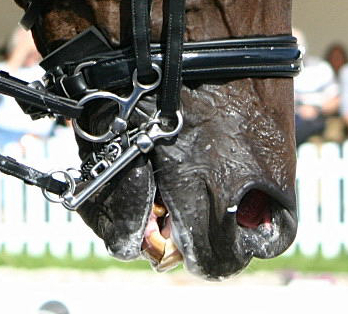 Sometimes people try to hide the gestures of the mouth by cranking the nosebands so tight that the horse looses the ability to move his jaws altogether. This, however, is by no means a good solution for the problems with contact. 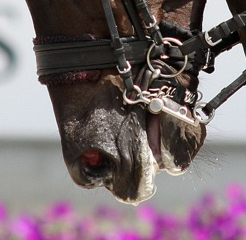 You can read more about the problems caused by excessively tightened nosebands for example here. Anna Kilpeläinen is a Finnish riding instructor and animal trainer who also holds a Bacherlor’s degree in education. For 20 years Anna taught riders of all levels in riding schools. 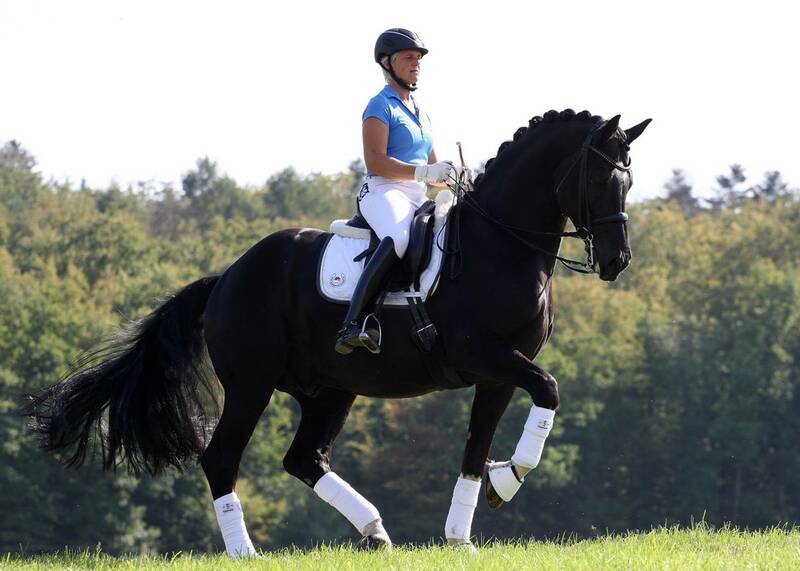 Since 2010 she has been working as an entrepreneur focusing on instructing and horse-training. Anna is also a sought-after lecturer in topics of horse training and welfare. She gives lectures and clinics around Finland. During the last couple of years her lectures have gathered thousands of horse-enthusiasts around the country. 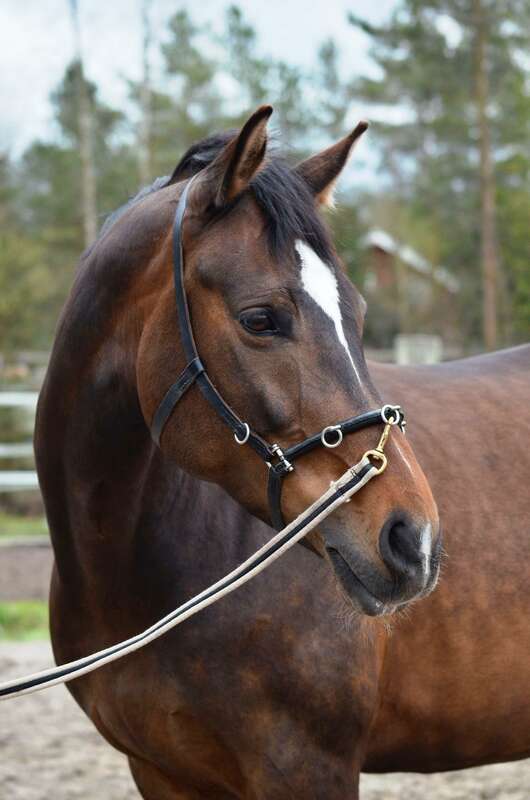 In 2015-2016 Anna has been one of the creators and lecturers of the ’Equine Wellfare Tour’ together with Tuire Kaimio, Minna Tallberg and Minna Rautioaho. The tour was organised by the Equestrian Federation of Finland. The lectures have been vastly popular with more than 1000 spectators around Finland. Currently Anna also works as a teacher for future animal trainers in horse-training. Rauhallinen - vai opitusti avuton?